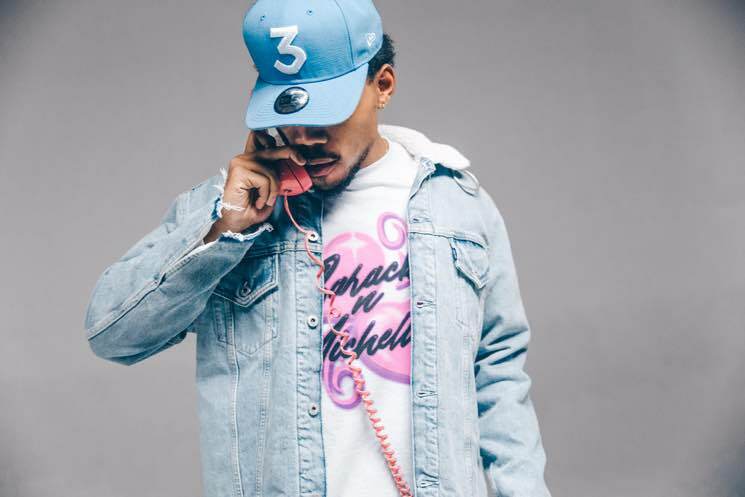 If you've been itching for more Chance the Rapper in your life, it appears you will soon get some, complete with some seriously high-profile collaborators. In a new interview, Chance revealed he's working on a collaborative project with not only Childish Gambino but also Kanye West. Speaking with Peter Rosenberg for Complex, Chance said, "I've been actively working on the project with Childish. I'm going to do a seven-track with Ye." Chance added that he will start working with Kanye in July, while the collaborative effort with Donald Glover's Childish Gambino rap persona is already well underway. "We've got six songs that are all fire, but I think the album is going to be more than 14 songs," Chance said of the collaborative Childish Gambino album. Of course, news of Chance and Gambino working on a joint effort has been floating around for some time. Back in 2014, the pair hinted at a collaborative EP, and after that never materialized, Chance later hinted at a collaborative project again in 2017. As for Kanye, it sounds as if maybe he's serious about making 52 record in 52 weeks after all. Watch the interview for yourself below, with Chance starting to talk about the collaborative projects at the 12:30 mark.